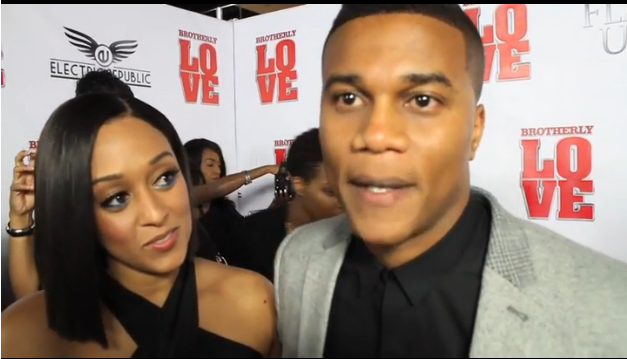 Tia Mowry has been throwing subtle shade at fellow actress Keke Palmer, who has been saying in interviews that she likes Tia's husband with whom she co-starred in new movie Brotherly Love. 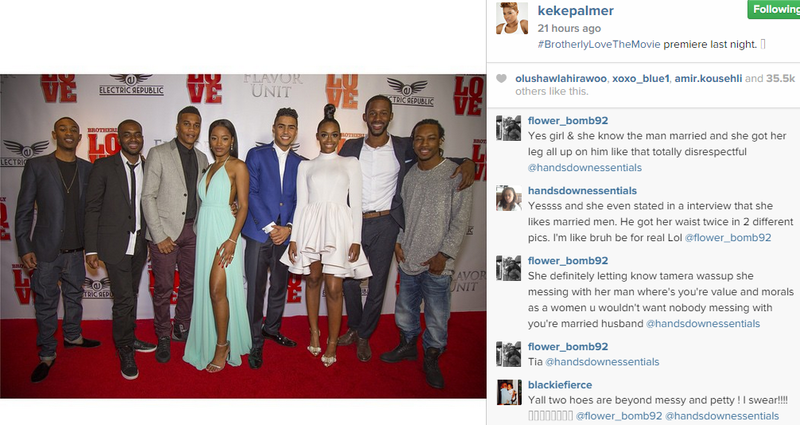 Keke Palmer and Cory Hardrict, were shown all hugged up at the movie premiere yesterday following rumours the two became quite close while filming the movie about a year ago. 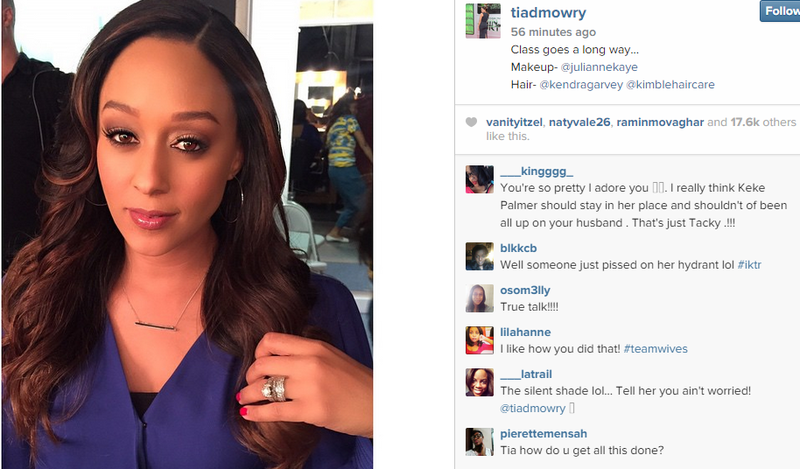 bributta3 - @tiadmowry you better tell her and your husband to take several seats. amb_iamm - @jarrettscottpage A little too close for comfort, don't you think? 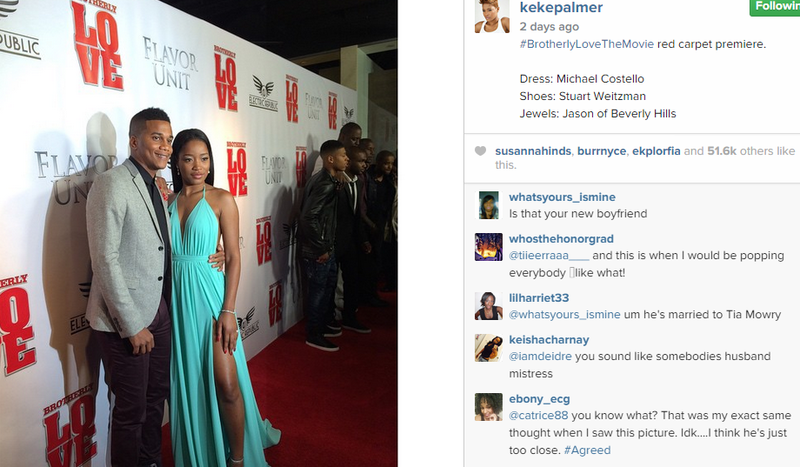 creolesense - I don't think keke bc tia was at the premiere supporting her husband. I'm sure she might have addressed it right then lowkey. Maybe it was a groupie or something that tia knows that has been going on behind closed doors with another woman. whosthehonorgrad - @tiieerraaa___ and this is when I would be popping everybody emojilike what! ogbasedgoddess - @trilllness it's not her fault she poses like hat with everyone tf!!!! keymanizmommy2012 - Everyone on them about his arm being around her. Last I remember, nobody came at Nate Parker from Beyond the Lights when he had HIS married arm around Gugu! Idk their situation. But I don't think an arm around a waist consist as too much for a married man. His wife was there. She would've said something. As much as she's doing now. To whoever it is she's referring to. Chill out.